Our services include anything a homeowner could need for deck restoration services. Our decking services offer also include minor repairs such as replacing floor boards and some handrails or spindles. Due to the insurance limitations & liability, we refrain replacing support infrastructure, building, and/or rebuilding decks. We will refer you to one of our general contractors. 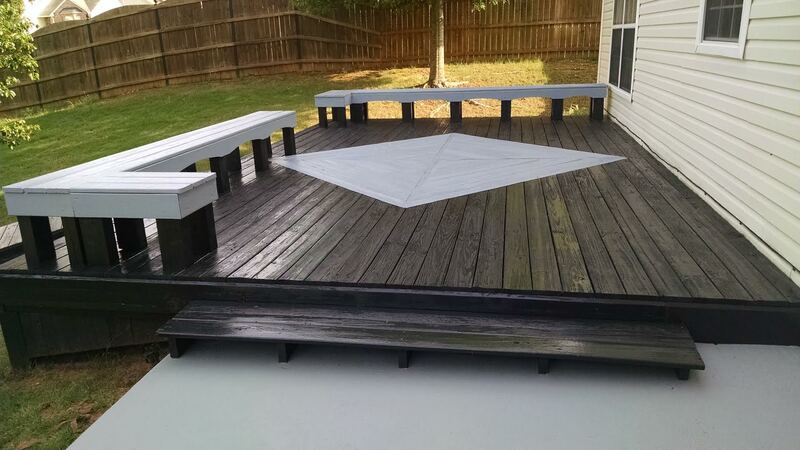 In sum, we specialize in turning a untreated or new deck into unique palette with a custom appearance. The value in one of our decking projects is that our pricing and retreatment periods tends to be better in the long run. Especially, if your looking to revitalize an existing deck or treating a new one. Q. How should I care for my deck? A. 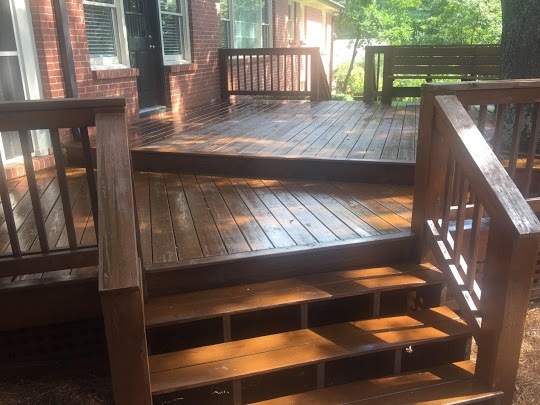 We regularly receive questions regarding what is the best way to care for a deck. The answer is simply do not lapse in the recommended retreatment scheduled maintenance plan we provide. The longer the structure goes unprotected after we’ve treated it …the more it may cost in the long-run to restore. Especially, if a semitransparent oil based product was used initially vs. a solid. Q. What is the best material to use on my deck? A. Composite deck materials are very nice. However, the materials are not inexpensive and should be installed by a skilled professional with previous experience with such materials. Composite decking does not require as much care; however, it will need to be retreated with a specific composite stain product between 10 and 25 years as the manufacturer will suggest. Trust, but verify – Ronald Regan.